Tracks 6, 15 previously released on Lo Recordings. Track 8 recorded at cormjah stvdios, Evston. I don't really think this record has much in common with Weirs, though it's definitely as good or better. There's really no way to categorize this; it keeps aspects of ambient, but it also has tracks that are just vocal samples that are heavily modulated. As far as atmosphere, this is every bit as haunting and engaging as Weirs is. Listen to this in a quiet room or empty house and observe the effects. Listen to it in your car while driving in the rurals. It's definitely an experiment in sound and an experience for any listener. A lot of the sound makes heavy use of stereo-pan modulation, so listening to it on good headphones is definitely advised. I certainly hope Simmonds keeps doing work like this. 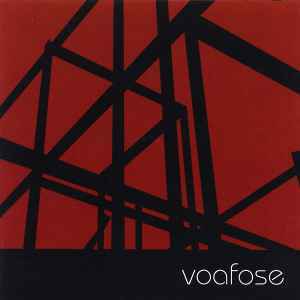 Voafose is a testament to the *real* intellect of some of the modern electronic musicians. This is a little like 'Weirs' minus the disco beats of course. Imagine a Rephlex version of SAW II but rawer and kind of demented at times. I've been waiting for this release for a while. It may not be for everyone, but die hard fans of the edgier more experimental component of Rephlex will dig this. It sounds very cool as a background to Amen Andrews, in which case I guess it'd be Weirs pt. 2?